Register Log In GliderCENTRAL Forums Behavior & Anatomy Whats this....? So when I got Zoey I was told he was a boy, Well when I went home Monday I wiped him off with a warm washcloth. I wanted to checkout his belly for softness and what was this I saw...? A small spot that was not smooth, upon closer inspection it was a little fur-lined hole... So it appears he is a SHE. Lol, imagine my friend's surprise when I told her of my discovery. 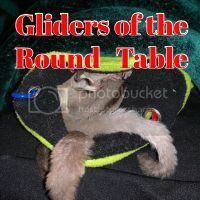 All in all a healthy, female glider. Ooopsie! Hope you were ok with that! I thought my Boo was a neutered boy when my husband surprised me with her a couple years ago.